The translation comes three years after the book was published in Finland, but it gives English-language readers a wealth of detail for the first time. Authors Pekka Nykänen and Merina Salminen interviewed more than a hundred Nokia employees. 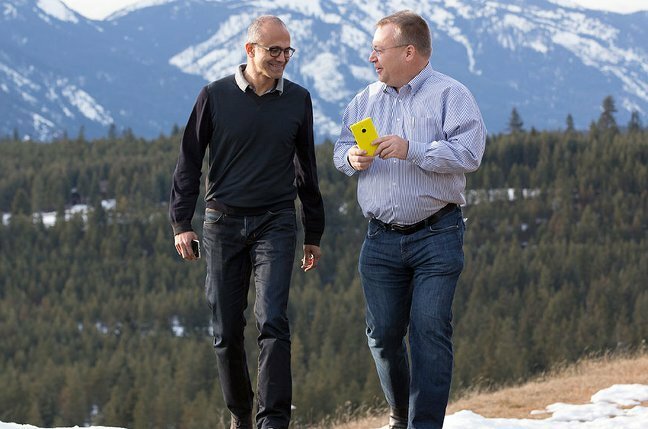 The core question is whether Elop was correct to ditch Nokia's existing platforms, Symbian and Meego in favour of the Windows Phone. Careless PR gave the market the impression that Symbian was being axed, despite Elop's expressed intention to sell 150 million Symbian phones before it was finally shunted off to the glue factory. The usual, boilerplate statements about "continuing to enhance Symbian as a transition platform" were conspicuously absent, the authors say. This proved catastrophic: network operators demanded that their contracts with Nokia be renegotiated. The sales channels lost interest overnight, even though two major updates scheduled for 2011 would make Symbian a tad more competitive. With no immediate "successor" to offer the market – Windows Phone and Nokia's first Meego device were months away – Nokia's cash problems immediately worsened. It cost the company billions. We also learn how the Burning Platform memo – details of which emerged first at El Reg – hurt employees pride, and caused disquiet even at board level. After that, Elop was much more cautious about public statements. But then Elop had form, the authors argue: at Macromedia, he had put all the efforts behind Flash. He was an eggs-in-one-basket sort of guy. And that made sense in one respect. Nokia was a vast bureaucracy of savagely competing fiefdoms, so a multiplatform strategy was never going to focus the company's talents in the new direction. Surprisingly little time is spent on Nokia's decision to shun Android, which in hindsight looks like the strangest decision of all. Critics argue that the hardest decision had already been made: to go outside for an external operating system, rather than use one developed in house. (Symbian began life as an external OS, but after "Nightingale" – recounted in our history series – Symbian reflected Nokia's agenda, and massive multiyear investment.) So if you're going external, why not choose the winner? The authors point out that Nokia could have ported its own Ovi services to Android, and later, its unique technology features such as its amazing oversampling camera. (This eventually appeared in a Windows Phone in 2013.) Perhaps if it had gone for Android in 2011, Nokia could have knocked Samsung off the top spot. Or perhaps it would have crashed, like Sony and HTC. At the time Elop said Android failed to allow Nokia to differentiate itself from other Android phone makers. Former Nokia number-two Anssi Vanjoki, who left after being pipped to the CEO's job by Elop, certainly thought so. He compared switching to Android to a boy in the snow who pees in his pants: the respite from the cold is only temporary.